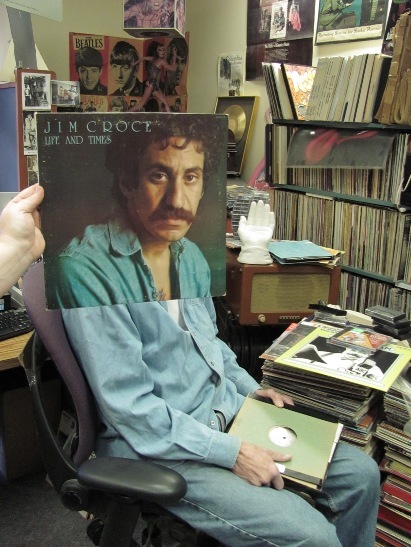 Jim Croce isn’t happy about being left in Sound Recordings Archivist Bill Schurk’s office while the rest of the staff is downstairs at the library’s final Record Sale. In this photo: Jim Croce, Susannah Cleveland and Bill Schurk. Photo by Liz Tousey. This entry was posted in Pop and tagged Jim_Croce. Bookmark the permalink.